New Delhi : By 2050, India’s population is likely to reach 1.7 billion, nearly equal to that of China and the United States combined. Can India feed 1.7 billion people properly? If food availability is stretched now, what is likely to be the situation in 2050 when India will have an additional 430 million mouths to feed? With a population of 1.28 billion, India is the second most populous country in the world, but not for long. We will be the first in just a few years. India was not always as large as it is now, in population or economy. The year 1921, known as the “Year of Great Divide”, is regarded as the most important in the demographic history of India. It marked a drastic fall in mortality and the swing from a relatively stable population to one that was rapidly increasing. The population grew slowly between 1801 and 1921, from about 200 million to 220 million. Then, our population really took off to reach the stratospheric levels of today. The population growth rate crested at 2.22% in 1981, and has been on the decline since. Over the span of just about a century, the population increased by as much as six times. Estimates suggest that India has added about 200 million people since 2000. We can look forward to another 300 million to 400 million by mid-century. Feeding India for the foreseeable future should, hence, be our most pressing concern. Agriculture plays a vital role in India’s economy. Over 58% of the rural households depend on agriculture as their principal means of livelihood. Agriculture, along with fisheries and forestry, is one of the largest contributors to the Gross Domestic Product. The share of agriculture in the GDP in 2012 was 18% and in employment 50%, and that tells a tale: agriculture is becoming less important to the economy while remaining critical to employment. According to the 2011 census, there are 118.9 million cultivators in India, comprising 24.6% of the total workforce of over 481 million. 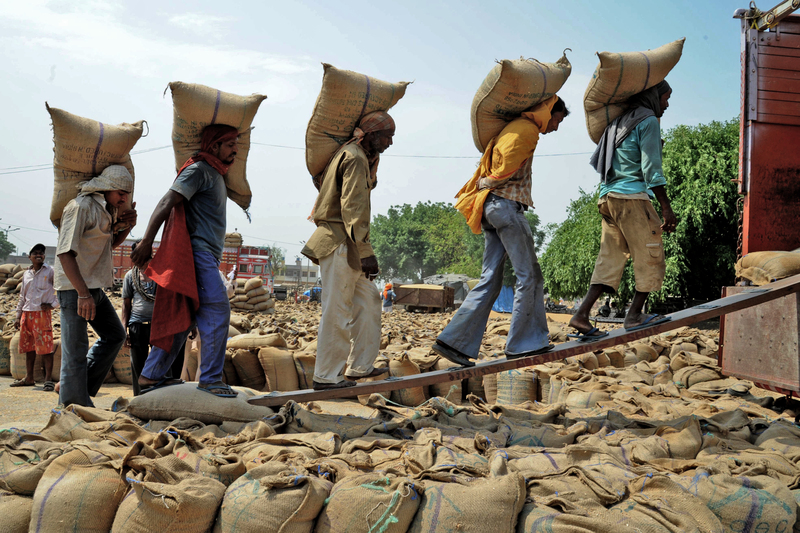 In addition, there are 144 million people employed as agricultural labour. Clearly, our future is entwined with how much more water we can harness for agriculture and how much better we utilise it. According to Agriculture Census 2001-02, only 58.1 million hectares of land in India was irrigated. The total arable land in India is 160 million hectares. As per the World Bank, only about 35% of the total agricultural land in India was reliably irrigated in 2010. India has nearly 30% of the global annualised irrigated areas, and is the leading country in terms of irrigated area in the world. The total area available for irrigation in India at the end of 2010 was between 101 million hectares and 113 million hectares – 41% by major irrigation (major and medium irrigation schemes) and 59% by minor irrigation (groundwater, small reservoirs, and tanks). Of the latter, 38% was available for irrigation by surface water and 62% by groundwater. The increasing reliance on groundwater is now very clear. With land finite and water increasingly becoming so, food grain production must increasingly come from productivity gains – which implies reduced employment and bigger land holdings. In the so-called “poverty square” of South Asia, more than half of the farmland consists of marginal and small farms of less than one hectare. Moreover, because of rapid population growth, the average farm size in this region has decreased by half every 15 years since 1960. The journey from the ship-to-mouth dependence on PL 480 wheat to the self-sufficiency ushered in by the Green Revolution and now to the overflowing buffer stocks has been a long one. It was a success story like few in the world. But a stagnation of growth in agriculture now threatens our food security. A study commissioned by the agriculture ministry has pointed out that given the current rates of population and income growth, India will have to post a growth of 4.2% per year in cereal production in the decade until 2020 instead of the less than 2% it achieved in the previous decade. The study predicts that with a reasonable rise of 50% in the use of fertilizers, expansion of irrigation and technological improvements, cereal production would be 260 million tonnes by 2020. But with a growing population, accompanied by rapidly growing prosperity, we will witness an exponential rise in demand for food grain, requiring a higher per capita availability. In 2001, there was an annual per capita availability of approximately 181 kg of cereals in India. By 2020, this requirement will be close to 215 kg per capita after accounting for the fact that as incomes increase, per capita consumption will increase as well. 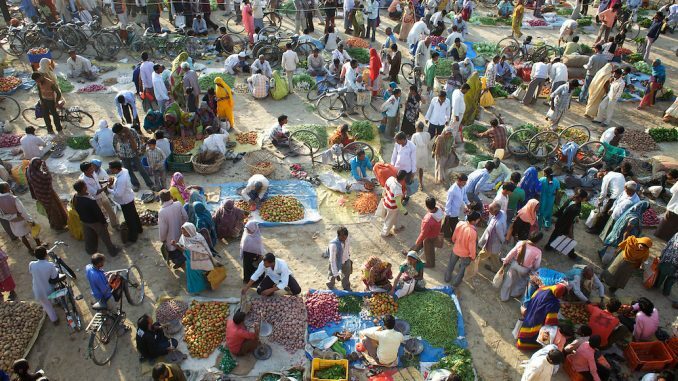 Alongside this, growth in per capita income, urbanisation and changes in taste will determine the demand of food mix. The demand for food consumables such as meat and eggs in 2020 is expected to be four times that of 1993, for milk and milk products as much as five times. The growing demand for milk and meat items has manifold implications as modern dairy and poultry animals also consume significant quantities of cereals and oilseeds, thereby reducing the effective amount of food produced. There are several such factors that spin a complex web of issues for policymakers to resolve. However, increasingly a large part of this effort is spent on supporting populist and economically irrational subsidisation of farm inputs and outright giveaways like free electricity. This, in turn, simply increases the burden on the government and detracts from the ability to make long needed capital investments to make agriculture more productive and even profitable. The pressures of a growing population can be eased if policy measures focusing on improving domestic livestock and as well as cereal production are implemented. The irony, one that is completely missed by the present dispensation, is that improving livestock actually means its reduction. Already, the widespread use of tractors has vastly reduced the use of oxen in farms. What we all agree on is that if the country has to “take off” in economic terms, then we cannot have an agricultural sector that employs nearly 60% of our workforce and continues to grow at 2% annually. There is an urgent need and scope for Indian agriculture to become efficient, and aid the country’s development rather than burden it. Even so, improved food production alone will not mitigate India’s food problem. Even if the country could produce enough food to feed its people, there is still the problem of putting enough money in their hands to buy more food.